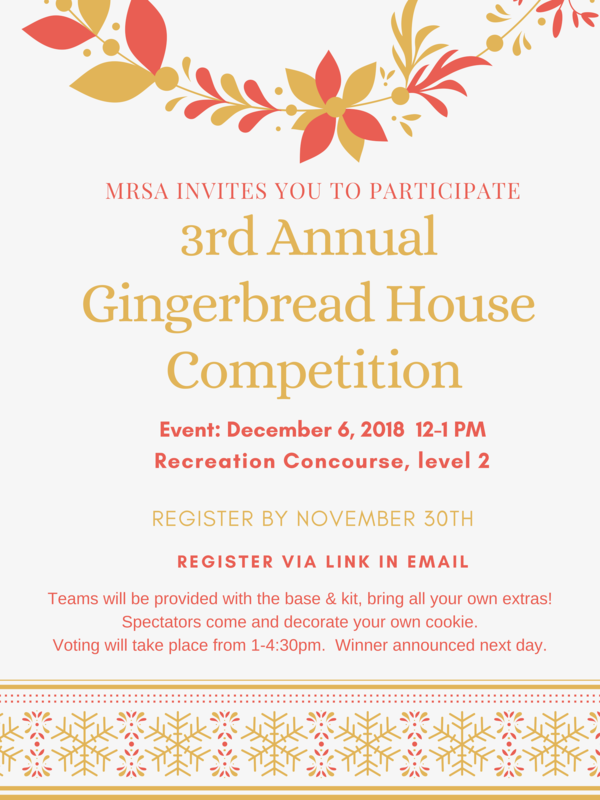 Elections 3rd Annual Gingerbread House Competition: Last Chance to Register! A link to register has been sent to all staff. Hope you can join us! Remember to bring your MRSA 40th Anniversary jars for a sweet refill!